Wake up and smell the coffee - literally, as there is a specialist coffee shop across the street from you. This pristine one bedroom flat is an oasis of calm, stumbling distance to Brick Lane and Old Spitalfields Market. Liverpool Street station is a ten minute walk and Shoreditch High Street five. A bright and modern living room with contemporary decor. Double glazed windows and hardwood floorboards run throughout. Cool hues create a modern space to relax and retreat. 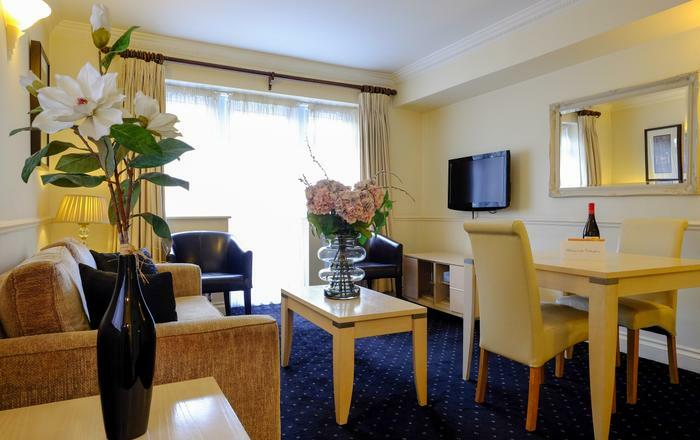 Comfortably furnished with leather sofas, a dining table and chairs for four, flat screen TV and WiFI. The stylish kitchen is open plan and fully equipped including a ceramic hob, oven, fridge-freezer, microwave, toaster, kettle and washer / dryer. Take your choice of coffee percolator - there are three. A large bedroom with ample storage, excellent natural light form the windows and a king bed. Quality linen, newly laundered and pressed, is provided for each stay. The spacious bathroom offers a large tub with shower over, basin and WC. Starter toiletries and fluffy white towels are provided as standard. 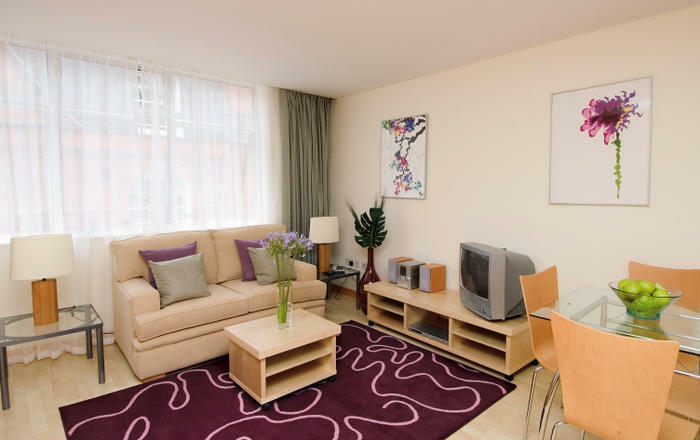 - Shoreditch High Street - London Overground - 5 minute walk away - Zone 1. - Liverpool Street - Metropolitan Line, Central Line, Circle Line Hammersmith & Fulham Line plus Overground Lines - 10 minute walk away - zone 1. 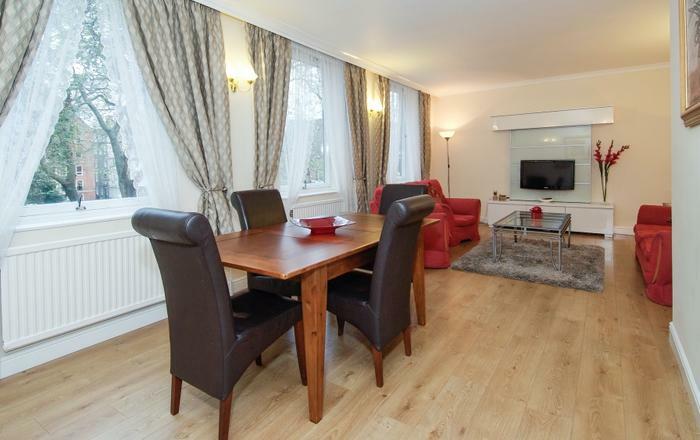 - Aldgate East Underground - District Line and Hammersmith and Fulham Lines - 10 minutes walk - zone 1. - A bicycle rack is available for your use in the foyer. - The flat is on the first floor. The building has a lift but it bypasses the first floor. - The home sleeps two people in one double bed. East London is a superb location to immerse yourself in the latest London has to offer. The neighbourhood is arguably the street art centre of the universe and tour guides can be spotted, pointing out the finer details of the latest murals. This vibrant area is renowned for it’s markets, art galleries, pop up restaurants and lively art scene. If you are looking for fresh and trendy this is the perfect place for the young and young at heart. 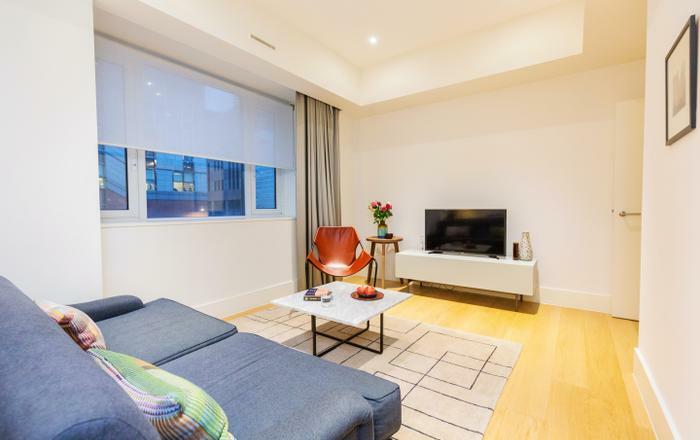 Amazing location across from Spitalfields market and steps from Brick Lane. 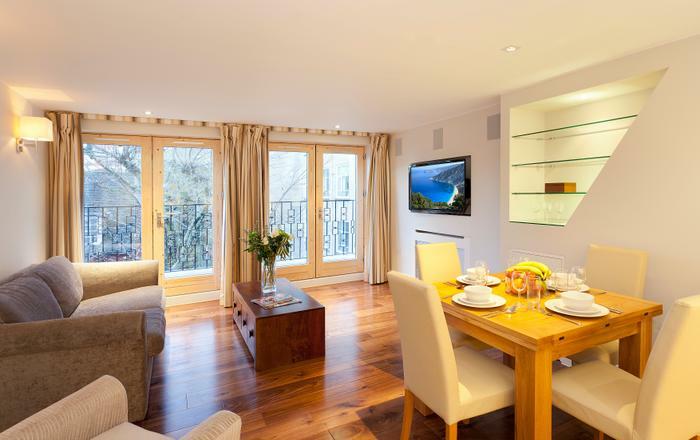 Apartment was exactly like the photos: clean and comfortable with all the amenities needed for an extended stay in London. Colin, Dec 2018. We spent a week at this apartment and loved our time there! It was super clean, nicely decorated, and well equipped with everything we needed. Comfortable bed with hotel quality linens was a plus! Great location in a great neighborhood-close to everything. We ate at several restaurants right on the street and were happy with all of them. Really enjoyed Spitalfields market which was a short walk away. We used 2 nearby tube stations to get around the city. We highly recommend this apartment and plan to return! This apartment is top of the line in a central location. Highly recommended! I stayed for 2 months, and it felt like a home. This was possibly my favourite rental apartment, and I've stayed at many. The only problem was that it was a little too perfect, and sometimes I didn't want to go out and explore London! The neighborhood it is in--Spitalfields--is very cool, with great coffee shops and good shopping and markets. It's also convenient (5-6 minute walk) to get to the Underground station, where it is a very short trip to central London. The London Agent answered all of our questions and the check in and out was very seamless. FIVE STARS! Upon arriving in London, my daughter and I experienced nothing but problems with banking, taxis, directions, you name it we had trouble with it. Until we arrived at my flat, other than the fact that the lift does not go to the first floor, the place was perfect. It was clean, spacious, just delightful. The flat is just as the pictures reflect. It was a great place to come back to after a day of running all over the city. During my stay in London, they were experiencing record heat. The flat was not air conditioned but they had a great fan that I moved into the bedroom at night. The streets can be noisy at night, but if the windows are closed, it's all good. The neighborhood is fantastic. I will stay here whenever I visit my daughter in London. The Spitalfields home was perfect for our stay. Thought too the location was amazing, as we sent a lot of time in central London and it was only 10 minutes away. The apartment was great, very modern and all that you need. The London Agent was really accommodating and always available to respond when we contacted. The locations and the market was lovely and had a central feel. The apartment was beautifully decorated and furnished very well with amazing bedding and cleanliness. It was a lovely stay and i would definitely recommend and stay again.